Tulum town is about 3 miles away from the coastal ruins of Tulum which we visited earlier in the holiday. 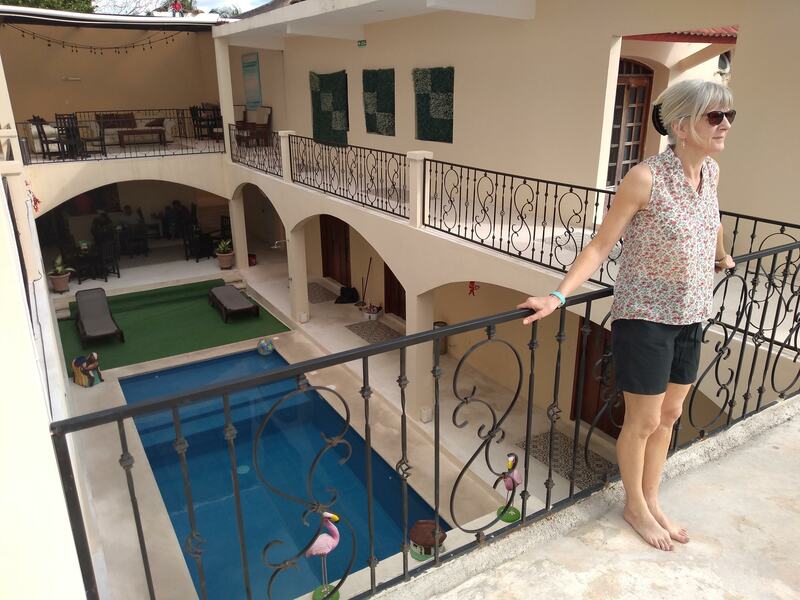 We found a lovely little hotel, the Casa Xanath, on a quiet backstreet only moments away from the ADO bus station. Tourist shops, hotels and restaurants are strung out along maybe a one mile stretch of the main highway, with residential and commercial areas behind. The town had a very laid back feel to it, with no-one hassling us for our business. Guidebooks describe it as a bohemian destination, very popular with backpackers, students, and people living a more alternative lifestyle. 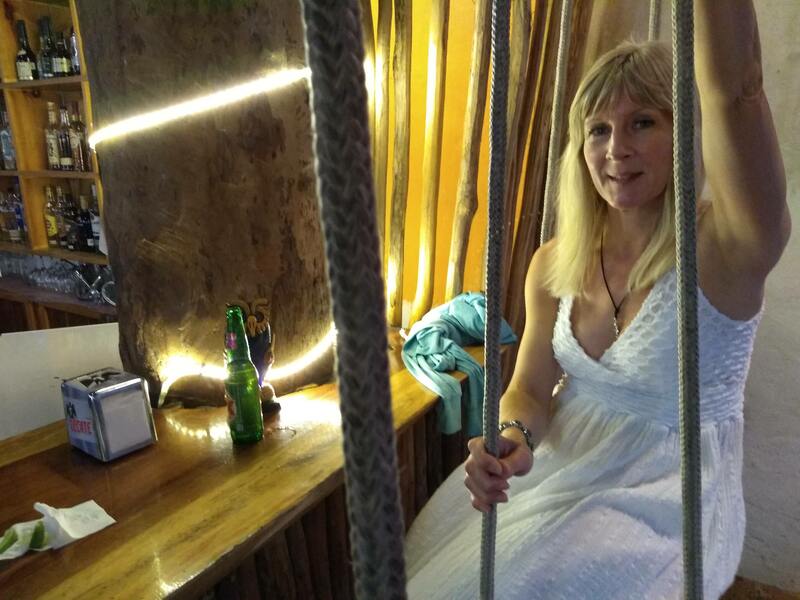 Swing seats in a Tulum bar! A rather short post for today, as the afternoon and evening gave us a chance to relax in readiness for the 10.30am bus to Cobá tomorrow morning. There didn’t appear to be a direct service from Cancún to Cobá, so traveling via Tulum seemed our best compromise. ADO tickets Cancún to Tulum around 150 pesos (£6) each.